Righty then. Wednesday. Sonic Scansday. Been missed a few times. So here we go – enjoy the huge deluge of scans we have for you this week. 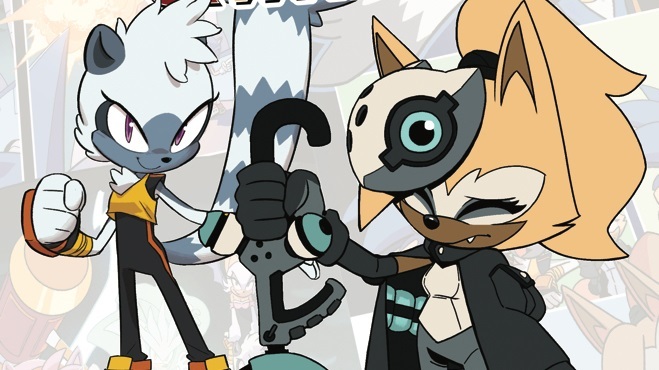 We have new boxart for SA2Battle, Sonic DX and Mega Collection, thanks to Rally the Cheetah. Then we have new Scanned Material for Sonic Heroes (8 pieces), Sonic DX (2 pieces) from Psychobob, and a music page on theSupersonic EP, a Sonic single that was released in the UK, with scans also by Psychobob. Finally today, the Sonic Sprites section had a few sheets added to it – expect the amount of sprite sheets to balloon over the next few days too. We have a dedicated sprite ripper – Dark Sonic – to help out with the creation of sprite sheets for new Sonic games, so expect some more Sonic Advance 3 sheets soon. As for the gaps, they will be filled very quickly. More scans to come tomorrow – including a whole TON of new Sonic Comic material, including scans from a very intruiging SEGA Manga that I acquired some time ago! Make sure you don’t miss it! The games to be included are some of the main platformers, but come on Sonic Team. Theres so much you could of included to make this game very impressive. Like including Knuckles Chaotix, or the two rare arcade games of Sonic the Fighters and SegaSonic Arcade. Also, if your gonna have Game gear games, why Sonic Drift? Lets hope there’ll be more added before it’s released.